The process of obtaining one can be somewhat unclear. The passport office can be stringent with requirements of photos, counter-signatories and also the supporting documents required with applications.The Liverpool Passport Office can answer any questions or queries that customers may have regarding the process. An appointment will be required before being allowed to enter the office, you must also be aware of the strict procedures around security. Belongings will be x-rayed and you must ensure that you do not have any sharp objects on your person. 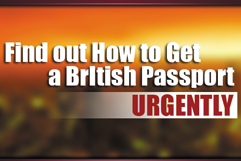 As an unaccredited company we provide a range of value added services for UK citizens looking to secure a new passport. Our package and service fees can be avoided by visiting Her Majesty’s Passport Office (HMPO) directly or their Gov.uk online resource. Our package can be found below. 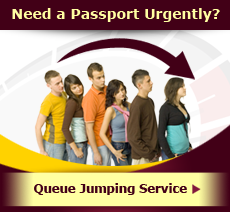 Passport charges due on the day of your appointment can be found here. Only the 1 week Fast Track & 1 Day Premium Service requires an appointment. What Type of Passport is Needed? Premium Passport: This is when a passport is processed within the same day, the turnaround time is typically four hours, however when booking appointments later on in the day you may reach the cut off point and may have to pick up your passport in the next day. Premium passports are processed on the same day. Fast Track Passport: The turnaround for the fast track service is one week. You will still require an appointment to submit your documents. This service is ideal with those with a later travel date, the new passport will be delivered to your house. Regular Service Passport: This process can take as long as up to six weeks, this is when you submit your documents via the post office, there is also an option of the post office checking your application before submitting, minimising chances of rejection of the application. There is an added fee for this service. With this option it is advisable for customers to not book travel until they have actually received their passport. How Do We Contact the Liverpool Office? The Liverpool office is open Monday through Friday from 9am to 8pm. 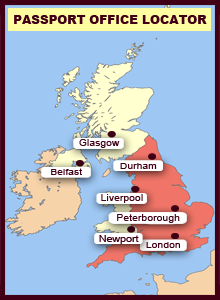 Individuals can book appointments via Her Majesties Passport Service. You will need to apply for new passports if you make changes such as your name (i.e. through marriage, deed poll or you go back to using your maiden name), your gender or the spelling. What is Needed in the Passport Application? An application form is required for an application of a passport, supporting documents will also be required depending on the individuals circumstances. For example if you are adopted you will need to include your adoption certificate. If your passport has been lost or stolen you must include an LS01 form, which can be obtained from ant UK post office. You must include information on how this occurred. In circumstances such as applying for your first British passport, it is essential for you to include your original birth certificate and not a photocopy. Some applicants require a countersignature. This is necessary if the current or past passport has a photo in which the applicant can not be immediately identified. A countersignature will confirm your identity. What Happens after the Application is Sent? Depending on which service you opt for the turnaround time can vary. However, not submitting the correct photographs and supporting documents can delay your application significantly. It is therefore important to ensure that you follow the guidance booklet, which comes with your application, carefully.